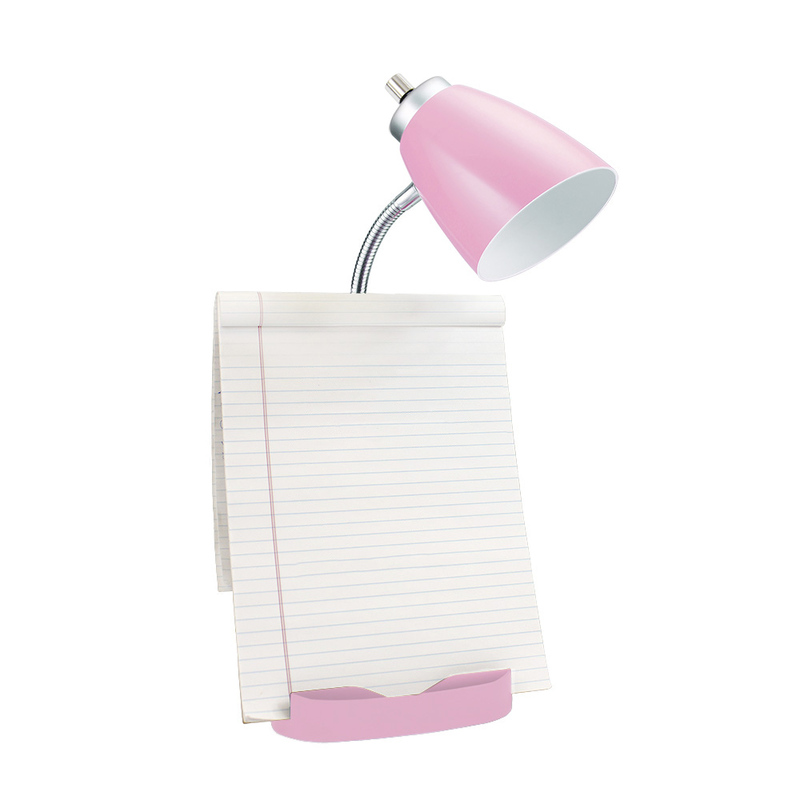 Style and functionality meet with this fun organizer desk lamp with iPad stand and charging outlet. It is beautifully finished and comes equipped to hold many of the important essentials needed in a desk organizer. The flexible chrome gooseneck allows you to point the light exactly where you need it. ON/OFF rotary switch is located on the head for convenience. Organizer includes 8 compartments for storing pens, pencils, paper clips, etc. It also has a spot to rest your iPad, book, or notebook for easy viewing and a convenient 2 prong electric outlet for charging the device you are using, or electronics nearby!